The California Academy of Sciences is one of the United States’ premier institutions of informal learning. Tellart had the opportunity to work with them on several aspects of the Color of Life, a permanent exhibition that opened in June, 2015. The exhibition offers visitors a unique perspective on the natural world: vibrant live animals, shimmering scientific specimens, and immersive interactive exhibits invite attendees to touch, see, and experience the ways that nature’s colors help us understand and appreciate the health of ecosystems and the interconnectedness of life on our planet. 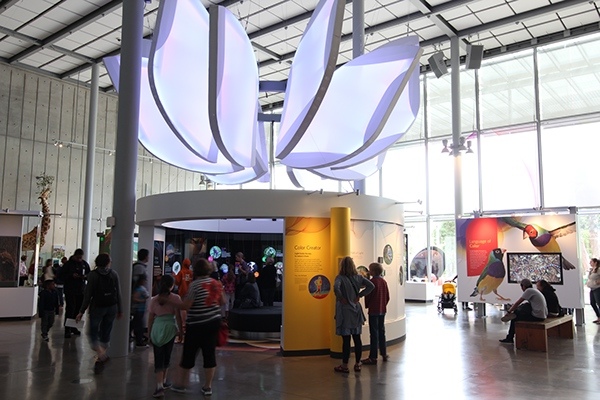 Tellart worked closely with the CAS Exhibition Design team on the development of interactive and interpretive concepts for the ‘Animal Vision’ portion of the exhibition, where visitors are invited to experience various species’ vision and specific color-focused viewpoints, and designed and implemented the “Bee Vision” exhibit. 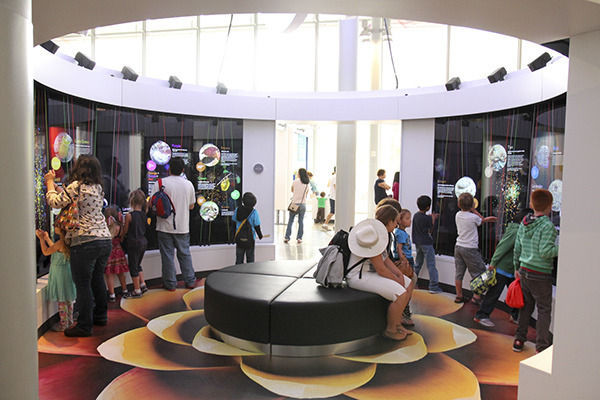 We were also responsible for concept, design, and implementation of the exhibition’s centerpiece: The Color Visualizer. 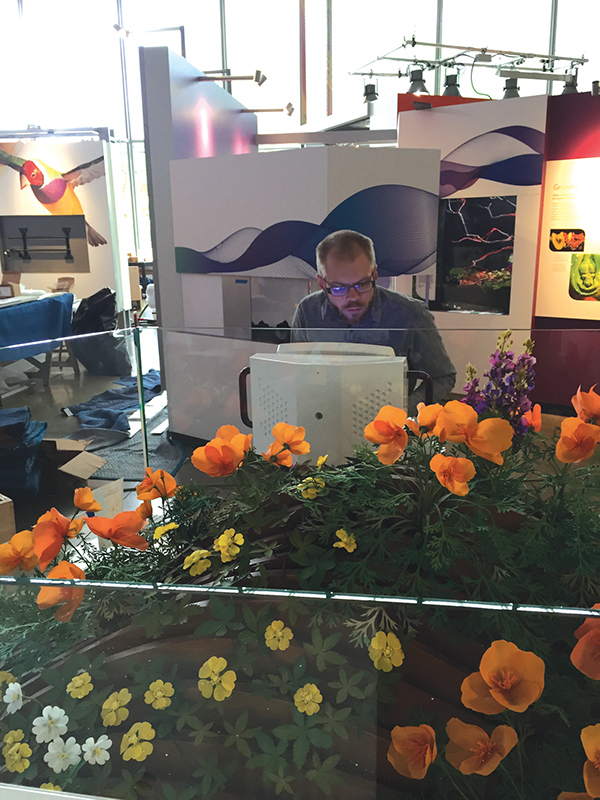 The Color Visualizer sits at the entrance of the 8000 square foot space, and uses tangible interactivity to expose surprising examples of how species use color to communicate and survive. By plucking an array of multicolored strings, visitors can explore over 100 color stories as images and short videos appear on a screen before them. Strum a red cord, for example, and learn how a male cardinal colors his feathers with pigments from food; strum a yellow cord and see how a leopard’s spotted coat allows this predator to blend in with shadow and light while moving through tall grass. Color of Life at the California Academy of Sciences is a showcase of color’s role in the natural world. An augmented lens reveals patterns usually only visible to humans in ultraviolet light. The CAS receives 1.6 million visitors per year. 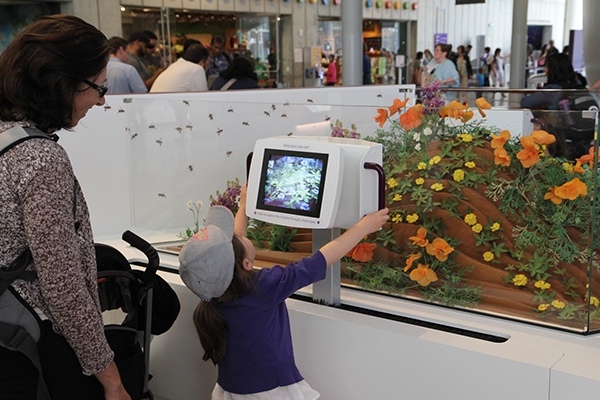 “Bee Vision” provides a technologically mediated experience of life as seen by these critical pollinators. Color of Life at the California Academy of Sciences is a showcase of color’s role in the natural world; how it attracts and repels, illuminates and defines the quality of life around us. Tellart used technology and design to shed new light on the Academy’s nearly 46 million scientific specimens.